SIX HUNDRED AND FIFTY million people from 185 countries around the world were reported to have watched last Sunday night's latest installment of the El-Clasico drama series between Real Madrid and Barcelona in the Spanish La Liga. After 94 pulsating minutes inside the famous Santiago Bernabeu, Real's home ground, it was Barcelona that ran away with a 3-2 victory, thanks to their talisman Lionel Messi who scored two of Barca's goals, the second coming from the very last kick of the game. Truly, it was another master class performance by the little Argentine which predictably set the football world drooling again about his genius. But rather than Messi, I think the Real Deal last Sunday were Real Madrid for giving us the opportunity to see and enjoy a truly spectacular game of football. Putting Messi's performance into perspective, the truth is that he didn't execute any skills that we hadn't seen him do before with wanton regularity. His first goal for Barca when he darted into Real's central defence and took out two opponents with two swift moves before slamming a low drive under the goalkeeper was a typical Messi move. His winning goal in the last second of the game was even more straight-forward as he arrived late at the edge of the Real box to slot home after three of his teammates had done all the hard work to set him up for the goal. In fact, Messi's younger compatriot, Paulo Dybala had scored a similar goal for Juventus less than two weeks before in the first leg of the European Champions League quarter-final in Turin when the Italians defeated Barcelona 3-0 to knock them out ultimately. What made the second Messi goal against Real special was not the technical execution, but the context and the history surrounding it. It was Messi's 500th goal for Barcelona; it reignited the 2016/2017 La Liga title race between both rivals; and it was scored at the ultimate enemy territory, Santiago Bernabue, which was stunned into silence, except for the pocket of Barca's travelling fans. Zidane threw in James Rodriguez who grabbed a surprise equalizer for 10-man Real to peg the game back to 2-2 with five minutes remaining in regulation time. At that stage, you would think Real would lock up their defence, take the one point from a drawn game and keep their place at the top of the table with another game in hand. But Zidane asked his men to press for a winner and that proved costly when Barca snatched the ball and counter-attacked deep into added time. Even then, Marcelo of Real had a chance to terminate the counter with a “professional foul” on the rampaging Sergie Roberto of Barcelona. A simple tag on the shoulder would have brought the Spaniard down and fetched the Brazilian defender a yellow card at the worst. The resultant free kick in Barca's half of the field would have been the last act of the game and it would have ended at 2-2. But Marcelo generously (and regrettably, he would think) allowed Roberto to run through and the end result was a quick exchange of Barca passes, the last of which fell into the path of the advancing Messi of all people! Keylor Navas in the Real goal stood no chance. Contrast Zidane and Madrid's “generosity” (some would call it tactical “naivity”) with the impregnable defensive tactics that Juventus adopted to stifle Barcelona at the Camp Nou in the Champions League just a few days earlier, then you would understand why neutral fans should be “grateful” to Madrid for the spectacle that we saw at the Bernabeu. Juventus were so solid that their coach Massimiliano Alegri boasted that Barca would not have scored even if the match was played for ever. How can 650million fans experience a spectacle from that kind of approach? Unfortunately for Barcelona, most teams in La Liga play like Juve (defend in numbers, then counter attack) when they face Barca and that is why Messi, Neymar and Suarez have struggled for goals, in some key games. If other La Liga teams were as bold (or naïve!) as Real to go toe-to-toe with Barca in every game even with one man down, Barca would have won the title even long before now. But as things stand, despite Barca's victory last Sunday, the La Liga title is still Madrid's to lose. If they win or draw their game in hand and match Barcelona's results in the remaining games of the season, they will be Spanish champions. 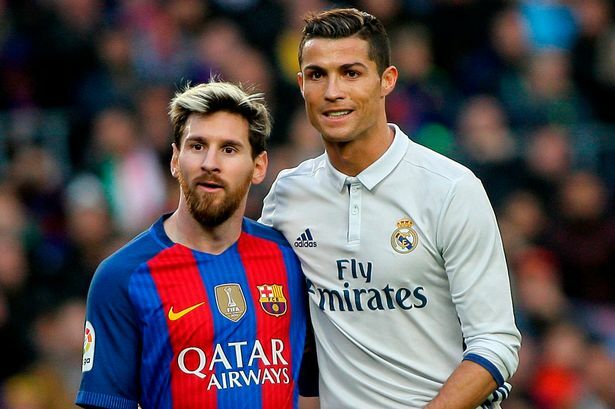 AFTER last Sunday's showdown, there can be no argument about who the current best individual player on the planet is between Lionel Messi and Cristiano Ronaldo. Before the game, Ronaldo was riding high. Last summer, he won the Europeans Championship with Portugal, while Messi lost another Copa America final with Argentina. Last January, Ronaldo won his 4th Ballon D'Or while Messi could not even show up at the ceremony. And last week, Ronaldo became the first player to score 100 European Champions League goals, grabbing a hat-trick against Bayern Munich as Real advanced to the semi-finals, while Messi shot blanks against Juventus as Barcelona crashed out of the competition. I suspected that Messi, even if he wouldn't admit it, would have been jealous of Ronaldo's recent rising profile and would be determined to make a statement that, on the same pitch, he (Messi) was still the best of the two. Therefore, I was not surprised to see him all over the pack, dictating play in midfield, dragging his markers back and forth, firing shots from every angle, drawing the foul that fetched Sergio Ramos the red card, and driving the knife into Madrid hearts with the winning goal in the final second of the game. By sharp contrast, Ronaldo struggled to make an impact throughout and was completely out-shone by his rival. 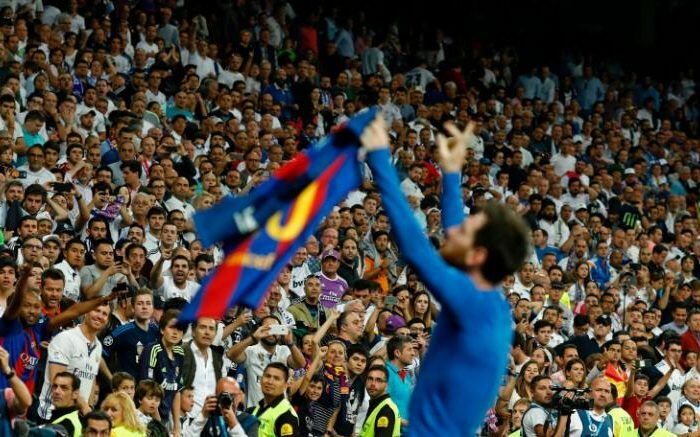 I would say that my pre-match suspicion about Messi's psychology to “make a statement” was confirmed when he held up his jersey to the Madrid crowd after scoring the winner. He turned the back of the jersey to the fans, showing them the name on it: Messi. Who Can Stop The Old Lady? As a demonstration of my support, I have paid a couple of visits to the magnificent Giuseppe Meazza stadium in San Siro district of Milan. Unfortunately, Milan have fallen on hard times in recent time, no thanks to the troubles of former owner and ex-Italian president Silvio Berlusconi. He has finally sold the club to Chinese investors and we the faithful are hoping for a resurgence, amen. In the meantime, Juventus have taken over as the team to beat in Italy. They have won the last four Serie A titles and are on course for a fifth successive title this season. And, last week, they knocked out the mighty Barcelona of Spain 3-0 on aggregate to book their place in the Champions League semi-final where they will face Monaco of France. Last Sunday, Juventus slammed Genoa 4-0 as they continued their march to the Serie A title. Their closest rivals, Roma, responded with their own 4-1 away victory at Pescara to keep the points gap at eight with five games to go. The question everyone is asking in Italy is “who can stop Juventus?” Fifth-placed Atalanta are the next opponent hoping to find an answer to that quiz on Friday this week as Juve play early in order to have more time to prepare for their Champions League semi-final against Monaco next week. You don't want to miss the Serie A action until the title is decided. 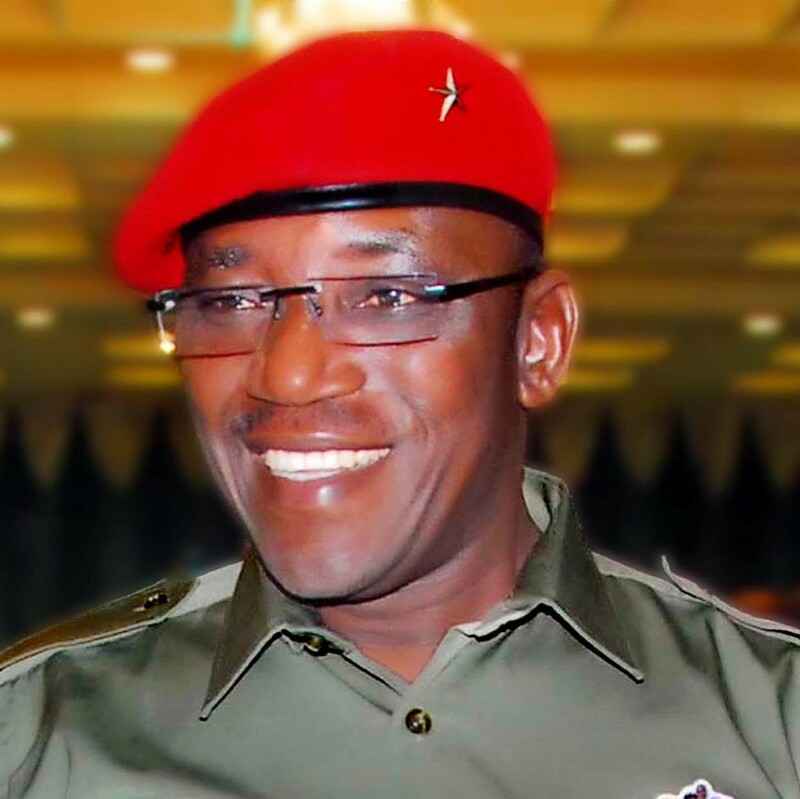 MINISTER of Sports Solomon Dalung deserves commendation for accepting wise counsel on the guidelines for the Sports Federations Elections released by his ministry penultimate week. This column recommended to him last week to extend the tenure limit for presidents of the federations from two terms to three terms of four years each. I also suggested that incumbent presidents rather than being disqualified, should be eligible to test their popularity in free and fair polls, despite being on the executive of international federations. Incidentally, Dalung was on Segun Odegbami's Sports Parliament on NTA Network TV on Thursday night where he was similarly advised not to do anything contrary to International Olympic Committee (IOC) Charter. Less than 24 hours later on Friday, the minister met with the leadership of the Nigeria Olympic Committee (NOC) to announce the amendment to the election guidelines as suggested in this column and on the floor of the Sports Parliament. Now all is set for the elections to hold on May 30 tentatively. One other thing, though. Can the decision to limit the tenure of our federation presidents to three terms be gazzetted by the Federal Government? I ask this question because, in four years time, Dalung will not be in office to enforce the resolution and I fear that sit-tight presidents will seek to blackmail whoever is the new sports minister by citing again the IOC Statutes on “non-interference!” Can Dalung ensure that this and other resolutions are properly documented and standardized to avoid future manipulation? Over to you, Mr. Minister.